On Rama (Hindu deity) and spiritual life. This work is a cartoon-strip version of one of the 18 parvas (book) of the Mahabharata, an Indian epic. 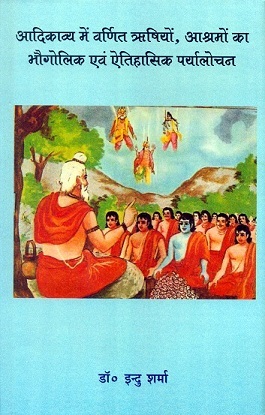 Adipurana of Jinasena, Sanskrit text with English tr. and notes, by Shantilal Nagar, 2 vols. The work describes the story of Lord Krsna, the episodes relating to Radha and Krsna, the description of Mathura and Brndhavana, praise of Brndhavana which is the most favourite and eternal abode of Krsna in which he sports and exploits which are to be experienced through love and devotion etc. are described. The adventures retold here are lavishly illustrated from the original paintings of a sixteenth-century Mughal manuscript ordered by Emperor Akbar. Twenty four paintings from the total 130 are included in this splendid book.